While I'm not a weather historian by any means, I can't remember a spring and summer that has had the country experiencing the whole spectrum of weather as much as it has this year. From the freezing cold to the boiling heat to the pouring rain to the drought-like conditions, sometimes it seems like I never know what to expect when I open the front door. Although we manage to deal with the hot temperatures outside by staying in the shade and combat the cooler ones with an extra jacket, it's the rain, mud, slush and puddles that always get me the most. My kids have cute rain boots that keep their tootsies dry, but me? I throw on my tennis shoes and end up gritting my teeth when I feel the wetness seeping in on my feet. Having talked to various other moms about our quest for rain boots, the conclusion seems to always be that we want something that demonstrates fashion meeting function. Of course we want them to keep our feet dry, but we also covet a little bit of the style that our kids have except in a more grown-up way. The answer? Maniera Boots and their high quality, hand crafted European rubber footwear. Representing a perfect fusion of modern design and traditional craftsmanship, Maniera Boots has been specializing in the manufacture of handmade rubber boots since 1935 but just recently launched in North America in 2011. As the brand's designers aim to create a range of fresh, stylish boots that also deliver fit, comfort and durability, it is no surprise that discerning boot wearers everywhere are big fans. As Maniera Boots are at the forefront of quality stylish footwear, browsing their website can take an endless amount of time. How to make the decision between the classic solids, artistic patterns, trendy tweeds and many more? Knowing that these amazing boots were exactly what I needed so that I wouldn't dread the puddles each time a cloud darkened in the sky, I couldn't wait to see them in person. And, at the arrival of the Harlequin-Black from the Aquarelle Tweed collection, I was anything but disappointed. As I pulled these gorgeous boots out of the box (and marveled that they came with a signature Maniera boot bag for future storage), it was impossible to not find myself anticipating the next rain! Right away it was easy to see the hand made difference, as each and every detail of these PVC free boots is created with the utmost care and skill. While the higher shaft height of the Maniera Boots ensures that no rain or snow can slip inside, the molded semi-wedge outsole is thick and durable so that there is no worry of stepping in a puddle or slush and having it seep in through the bottom either. It didn't take long before I had these on and began to enjoy the comfort. 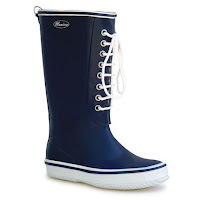 Right away I found that the nylon waterproof lining felt well-insulated and that theseweren't too heavy to wear around. Instead of feeling like a child stomping around in adults' big, clunky boots, these are cut much more slim and fitted. And the look! Who wouldn't love this great black, white, grey combination? I have been extremely impressed with these Maniera Boots since they arrived and they are just the thing to pull out on any and all occasions where there is a hint of wetness. I'm happy knowing that I can grab these and know that not only will my feet and socks will stay nice and dry throughout any rain or future snow, but that I'm fully prepared for even the ugliest weather while staying completely fashionable. No matter if they are matched with jeans, leggings, a skirt or more, I have no doubt that these Harlequin-Black Maniera Boots will last well through the summer, long into the fall and decades into the future. While the retail price ($149) is higher than some people might initially consider paying, I have zero doubt that there is no possibility of these ever needing to be replaced — the quality is incredible! 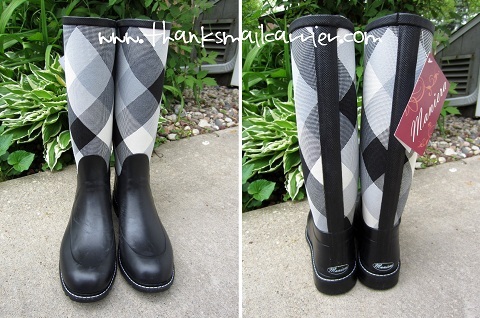 With multiple collections of rain boots to choose from (as well as stylish Knit Top Socks for even more added pizazz) there is sure to be a look to match everyone's personality and wardrobe at Maniera Boots. No matter if you choose to go bright and bold or more classic and traditional, your feet will thank you with these great boots! Be sure to visit their website to see all of the innovative, fresh designs and to make a purchase of your own. You'll also want to connect with Maniera Boots on Facebook and Twitter so that you don't miss anything new as this company continues to evolve and offer the highest quality rubber footwear. Mother Nature sure isn't happy is she? These boots are adorable...loving the lilac pair shown. They look extremely durable and like they'll last! Great review as always. 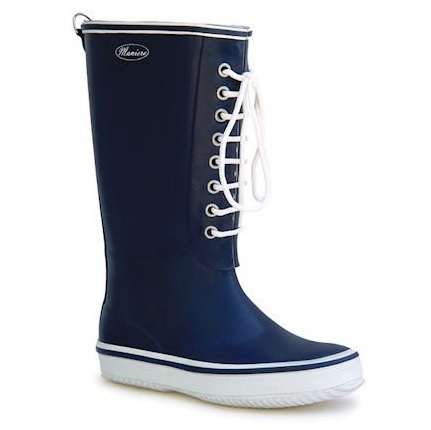 I usually don't wear rain boots, but these are pretty nifty. I like the colors. I can picture those being super handy dandy with the snowy slush! I don't wear rain boots really, but I can see where they would be useful. Those purple ones are really cute, too. need some for me mom! I would love a pair! Thank you for your review.